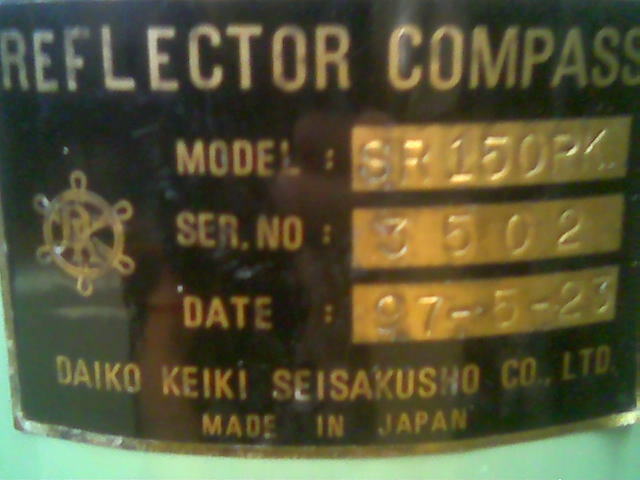 Manufactured in Japan, serial number 3502. The date stamped on the serial number plate is 23 May, (19)97. 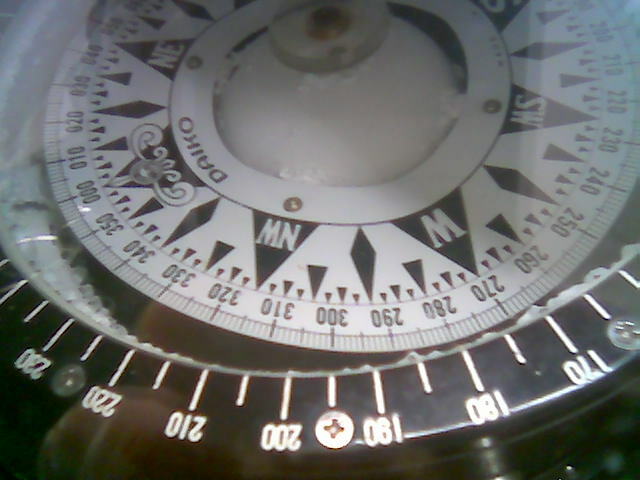 This magnetic compass was used in ships for navigation, and features all of the cardinal and subcardinal directions on a disc mounted on a gimbal and sealed behind a glass window. The gimbal is a device consisting of two rings mounted on axes at right angles to each other, and allowed to move as the ship rolls and sways, but keeps the compass steady on a horizontal plane. 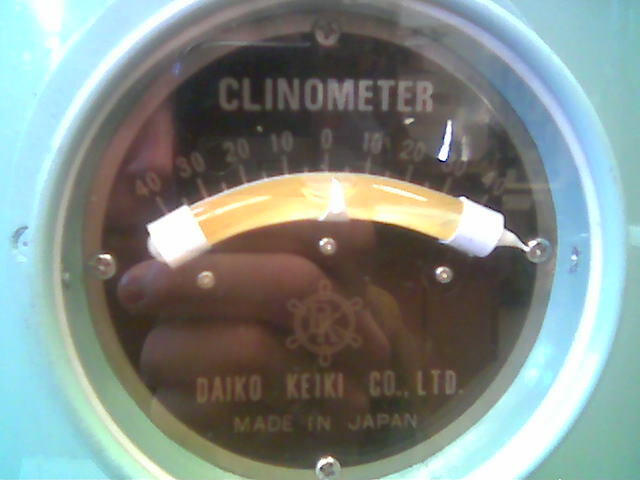 The compass also features a clinometer, which resembles a curved “spirit level”, and is used for the same purpose, i.e. measuring the roll of the ship (rotation along an axis intersecting the bow and stern of the ship). Two iron balls are placed on either side of the compass, aligned with the sides of the ship, to counteract any interference the ship's hull may cause to the Earth's magnetic field. There is also a 'Flinders' Bar' . 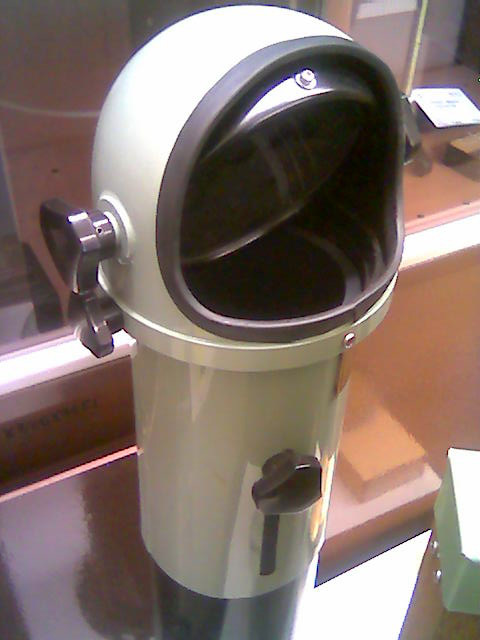 There is also a periscope (a separate piece), which is used by the captain to read the compass, presumably from the captain's quarters below the bridge, where the compass is located. 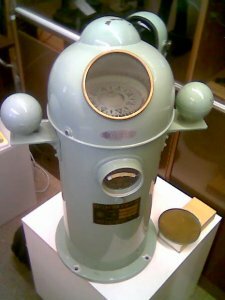 This type of compass continued to be used, even after the invention and subsequent widespread adoption of the (electric) powered gyrocompass in the 1920s. This one was replaced when almost new as the card had been damaged by use of the incorrect liquid.